Sometimes I am a little behind the times. I think things over S L O W LY. Savor ideas, roll them around in my head (my husbands description would be that they rattle), and then start to see that maybe they are pretty good ideas after all. That is what happened with a new Stampin' Up! In Color "Peach Parfait" I just wasn't seeing it...until this Sketch Challenge came along. I thought I would give it a try and ended up loving the combination. While this photo is coming out slightly darker for whatever reason my computer decided to do, you will find that the combo works great. "Fabulous Florets" had been calling my name from the shelf and this was only an experiment as I wasn't sold on the color yet. I decided to watercolor using my ink pads and a blender pen. Normally I use Shimmery paper for watercoloring but Very Vanilla was handy. You cannot blend well on this paper but it made for a nice texture on the petals. I went back in with the fine tip of Poppy Parade Stampin' Write marker and slightly blended to give more definition. I am really happy with this. Ok, so we all know what colors I will be working with this week. All materials are Stampin Up! and can be purchased from my website HERE . 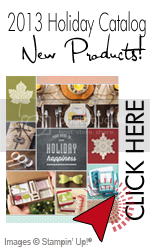 Sale A Bration is our favorite time of year with Stampin' Up! Remember when you tried to place your order on the very last day of SAB (March 31) and went into a panic because all the other Stampin' Up! fans were trying to do the very same thing and you couldn't get through? Don't let this be you!! Head on over to my website now and place your order soon before your time runs out. For every $50.00 you spend, you get to pick FREE Stamps, Designer Paper, and Accessories from the SAB Catalog. There is NO LIMIT to how many your can order and you still get all the wonderful hostess benefits in addition to this if you spend 150.00 or more. You can also get additional goodies to our already fabulously priced Starter Kit when you join Stampin' Up! and my team as a hobbyist or business Demonstrator. This special price PLUS additional benefits also ends the 31st. Click HERE to find out all the details. Now for a sneek peek of a card I designed for the Stampin' Queens Sketch Challenge coming up this Wednesday.... Hint...I used the FREE Exclusive Sale A Bration "Everyday Enchantment" Paper that retires the end of this month. LOVE this stuff!!!!!!!! Sometimes I like easy. Sometimes I like intricate. Today was an easy day (well, not the whole day but at least this card was ;) I love using my Big Shot and this card came together just from looking at some of the shapes I had previously cut out. I used the Sale A Bration Free stampset "Outlined Occasions" for my sentiment and colored with Stampin' Write Markers. Quick, easy, bright. All materials are Stampin' Up! and can be found on my website HERE. So here is your challenge. Grab your stamps, paper, and Big Shot if you have one and create something wonderful. Is your day going to be easy or intricate? Have fun stamping! The layout is from Stampin' Queens Sketch Challenge 24. You can visit the blog and post your creation. I am in love. In love with the new Sale a Bration Freebies that I have been playing with. This Stampin' Queens Sketch challenge only took ten minutes to design and make thanks to the Free Designer paper and the stampset "Mixed Bunch" and matching punch from the Occasions Mini catalog. Don't you just love the color combo? Click HERE to go to my website to view the Sale a Bration Promotion and Occasions Mini catalog. Go to the Stampin' Queen Sketch Challenge Blog to enter your great creation and view other fabulous ideas. Happy Stamping!